Financial sustainability is important to support and maintain the operation of a peer support program. Financial management helps programs operate properly, while an effective financial model is a vital factor in program sustainability. This section includes information on peer support program budgeting, resources for financial management, and various payment models in the U.S. 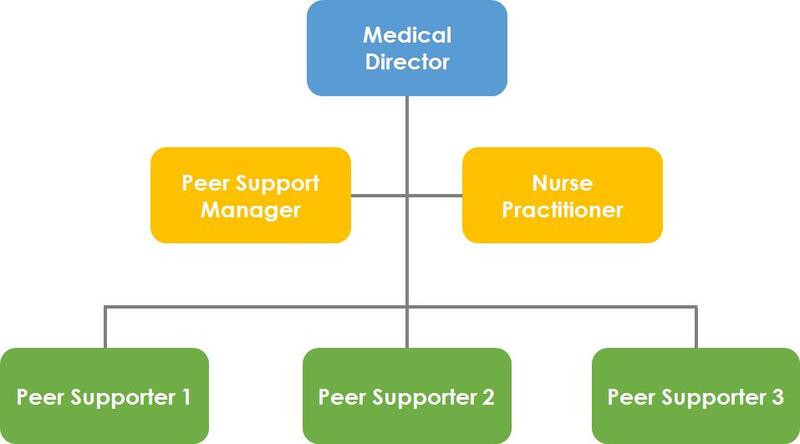 Scope of work of peer supporters: Scope of work may include total number of people to be served by the program, as well as key tasks for a peer supporter. 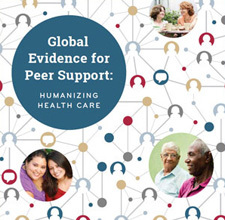 This information will help you to estimate how many peer supporters are needed to successfully reach those whom you are serving, as well as potential expenses associated with supervision (e.g., # of supervisors, % of time for supervision), and the mode(s) of service delivery (e.g., one-on-one, group, face-to-face, home visit, by phone etc.). Training of peer supporters:Initial and ongoing training is crucial to quality assurance. Depending on what the training will entail, relevant activities can cost a decent portion of the budget. In addition to the training content, it is also important to consider who the trainer(s) will be, and where the training will take place. In another words, an organization that plans to sponsor a peer support program will need to determine whether or not the organization has the capacity to conduct the training (i.e., trainers, curriculum, and space), and if it is cost-effective to do so. Staffing model: Peer supporters can be volunteers or employees. A program’s staffing model directly affects the budget for salary and benefits, which often accounts for the largest portion of a program’s expenses. Be sure to look into other programs similar to yours so you can better assess how to structure a staffing model based on both the perspectives of costs and impact. Tracking and data management system:In some cases, an organization may choose to closely monitor their program progress or better integrate peer supporters with other existing services. In order to do this, the organization may invest in a data management system such as an electronic medical record system (EMR), or a mobile app. Both developing and managing such a system will require certain staff time and financial resources. To build a budget for a peer support program, it is essential for a manager to understand the organization’s operation spending and functions. The table below summarizes key cost categories along with a template for entering information on a program’s budget, amounts and allocations. The structure of an organization often affects its financial management. 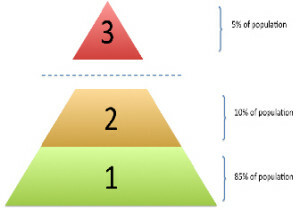 Thus, to understand financial management, it is essential for managers to recognize the overall structure of their program/ organization (See Figure 9). Organizational structure is commonly shown using organization charts. Using an organization chart can be helpful in terms of delegating of authority for decision-making, tracking, and internal communication. 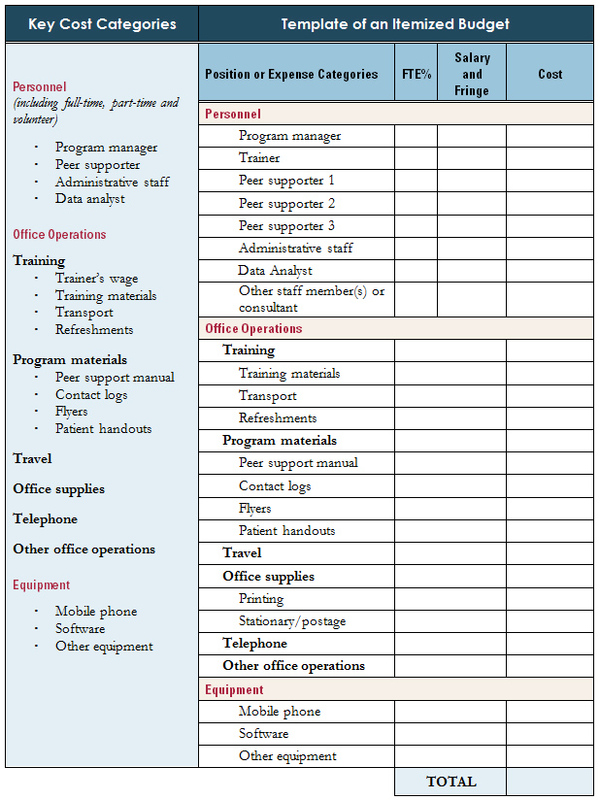 The organization chart can also help monitor the budget and estimate staff time needed for a peer support program by visualizing management responsibility and the relationships of positions within the organization. A budget calendar is a simple, yet useful, tool to help managers create and develop budget and payment for operating activities of their peer support programs over a period of time (e.g., ranging between several months and a fiscal year). The tool is also useful for budget monitoring and internal reporting, as well as other aspects of fiscal management, such as tracking expense activities and balance adjustment. Establishing a Financial System: A part of Partner in Health’s Program Management Guide, this section focuses on the critical role sound management of your organization’s finances plays in CHW program planning and implementation. Measuring Return on Investment of Outreach by Community Health Workers: This article provides a useful example of assessing the financial impact of CHWs on health care systems and policies. Resources for Non-profit Financial Management: Wallace Foundation offers general resources – including articles and studies by leading thinkers in the field of nonprofit finances – on why strong not-for-profit financial management is important, how to address barriers, and how to reach financial success for nonprofits. Non-profit Accounting Basics: Developed by Greater Washington Society of CPA Educational Foundation, this resource is designed to help managers produce accurate records and reports, encourage and measure accountability, and successfully manage and sustain their nonprofit organization. Non-profit Cost Analysis: The Bridgespan Group provides resources on cost analysis, including how to calculate all-in costs of providing services, running programs, and operating the organization. Traditionally, peer support programs have often been funded through a patchwork of short-term grant funding. Although states have started to recognize the benefits of financing peer support programs through dependable channels of reimbursement (i.e., CHWs and peer specialists), peer support programs should actively identify financial models for sustaining activities. Has an adequate portion of savings for reinvestment for long-term sustainability. Has a combination of, and leveraging investment capital from, multiple public entities. Has a good mix of financing vehicles that include multi-sector programs and innovative funding models (e.g., traditional limited-term grants, shared savings, capitation, per-member-per-month, private investment, or public reimbursement such as Medicare/Medicaid). Has financial sources generated from a diverse collection of interventions in size, length of implementation, and type of service. Grant-based programs: Grants and contracts from charitable foundations or government agencies are the most prevalent and well-known funding sources for peer support programs. However, this funding model can be limited by requirements and restrictions to focus on specific populations or health issues. Most grants and contracts run three years or less which may disrupt program focus, program continuity, and job security, even though there may be possibilities for renewal. Public insurance: In this model, payments can be made to peer supporters/CHWs by public insurance in the form of either direct reimbursement or indirect payment via capitation. Payment to peer supporters/CHWs may be part of a health care service that is contracted between the insurer and a clinic, or a Medicaid program reimbursement via capitation arrangement. Recent changes in reimbursement regulations for CHWs who provide preventive services, as well as the expansion of Medicaid eligibility as part of the Affordable Care Act (ACA), have opened a window of opportunity for CHW programs to secure sustainable financing. Direct Reimbursement allows a state Medicaid office to identify CHW programs as billable providers and reimburse the programs directly for their CHW services. Despite the advantage of reliable funding, however, the Medicaid funding model also carries challenges for CHW program managers. Since few Medicaid funding models exist, the adoption, modification, and establishment of new Medicaid models can be very time-consuming. Also, reporting requirements for Medicaid programs can be burdensome due to requirements for cost data, progress reports, and certification for CHWs. Private insurance: In this model, payers are non-governmental organizations, including hospitals, managed care organizations, insurance companies, employers, or other healthcare-related businesses. These entities may contract directly with CHWs or through clinics or CBOs for their services. In this model, the funds come out of the general operating budget, which means that stability is linked to the success of the private sector organization. As Medicaid expands under the Affordable Care Act and fee-for-service is shifting to capitation, there is a need for Managed Care Organizations (MCOs) to develop, design and institutionalize procedures, mechanisms and infrastructure appropriate for the new care environment. Please see the featured example of a private insurance financial model below. The Chronic Illness Alliance Peer Support Network’s Best Practice Framework provides a brief overview on financial arrangements for volunteer-based peer support programs. Community- and Faith-Based Service Providers includes information and practical tools to guide sustainability planning efforts. It contains substantial content related to financial management as well as fund development and fundraising. Issues and challenges of the current US financing/funding mechanism on peer supporters features an overview of sustainable financing models for peer support and key trends to watch for in the future. With the launch of the Centennial Care initiative in New Mexico, Medicaid enrollees were stratified into: Level I (individuals with good to excellent health), Level II (those with long-term chronic disease or high cost conditions), and Level III (those with very complex health needs such as multiple chronic conditions, high hospitalization rates, high prescription drug use rates, and high emergency department usage). Researchers at the University of New Mexico (UNM) and Hidalgo Medical Services (HMS) collaborated with managed care organizations (MCOs) to develop identification strategies for each level within Centennial Care. At each level, they developed a realistic caseload for CHWs working with patients and identified best practices for activities and interventions. Each CHW provided services to 25–30 enrollees over a period of three to six months. Services included health literacy (e.g., navigating the healthcare system, understanding the importance of medication adherence) and other non-clinical support (e.g., assistance with transportation, obtaining food stamps). The highest-need individuals received intensive individualized patient support services, whereas those with lesser needs generally received interventions that addressed community health barriers with a focus on system navigation and non-clinical social services. CHW payment model for the highest-risk patients (Level III) remained the same, outside of the Level I and II combined per-member-per-month (PMPM) rate. Not all Level III members were referred for services but were chosen by MCO case managers at a monthly fee of $321 per month for each member referred for CHW intensive intervention. A population management approach was taken for Levels I and II. An initial estimate of the necessary PMPM rate to provide CHW services to all Level I and II members, based on a cohort of 5,000 members in a neighborhood or cluster of neighborhoods, was $5.75 PMPM. For a 12 month period, the total cost was $345,000 equivalent to the total revenue generated by this PMPM approach. Establishing a Financial System A part of Partner in Health’s Program Management Guide, this section focuses on the critical role sound management of your organization’s finances plays in CHW program planning and implementation. Measuring Return on Investment of Outreach by Community Health Workers This article provides a useful example of assessing the financial impact of CHWs on health care systems and policies. 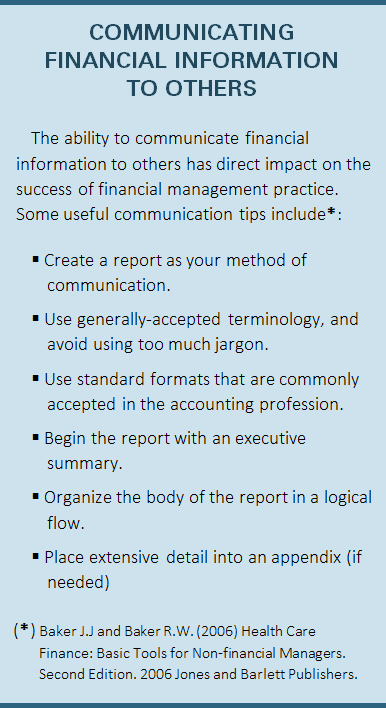 Non-profit Accounting Basics Developed by Greater Washington Society of CPA Educational Foundation, this resource is designed to help managers produce accurate records and reports, encourage and measure accountability, and successfully manage and sustain their nonprofit organization. Non-profit Cost Analysis The Bridgespan Group provides resources on cost analysis, including how to calculate all-in costs of providing services, running programs, and operating the organization. The Chronic Illness Alliance Peer Support Network’s Best Practice Framework This online manual provides a brief overview on financial arrangements for volunteer-based peer support programs. SAMHSA USDHHS’s Sustaining Grassroots Community-Based Program: A Toolkit for Community- and Faith-Based Service Providers –Sections 4 and 5 This toolkit provides information and practical tools to guide sustainability planning efforts. It has substantial content related to financial management as well as fund development and fundraising. Issues and challenges of the current US financing/funding mechanism on peer supporters This spotlight this month looks at sustainable financing models for peer support and key trends to watch for in the future. Additional information on financing may be found in the program resources section.